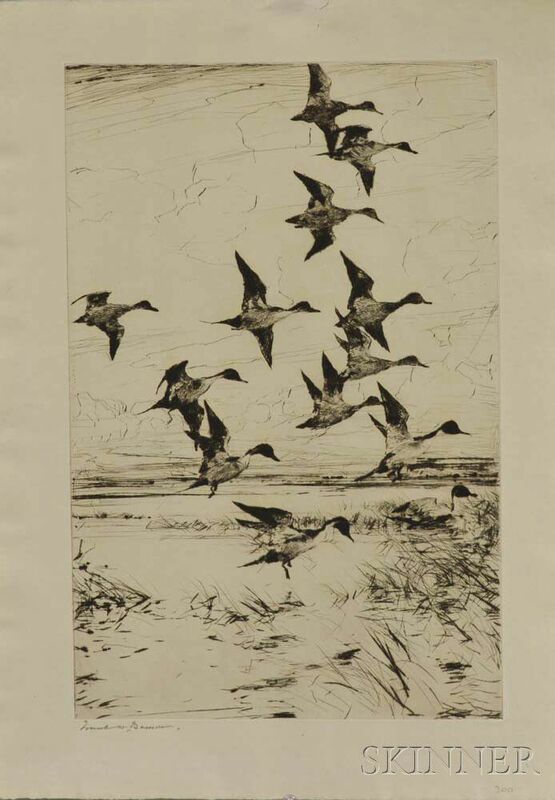 Pintails Passing, 1930, published state, edition of 150 (Paff, 300). Signed "FrankWBenson." in pencil l.l. 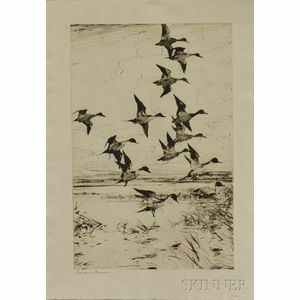 Drypoint on laid paper with "ENGLAND" watermark, plate size 15 x 9 7/8 in., unmatted, unframed. Condition: Full margins with deckled edges to three sides, pencil annotations l.r.